The Temple Mount/al-Haram al-Sharif has been reopened by Israeli police after its closure amid tensions following the shooting of prominent right-wing Jewish activist Rabbi Yehuda Glick. Jerusalem holy site was reopened ahead of Muslim Friday prayers, but with restrictions on worshippers as a security measure. Meanwhile the Palestinian suspected of wounding Rabbi Yehuda Glick has been buried in East Jerusalem. There has been an escalation of tension in the city in recent weeks. 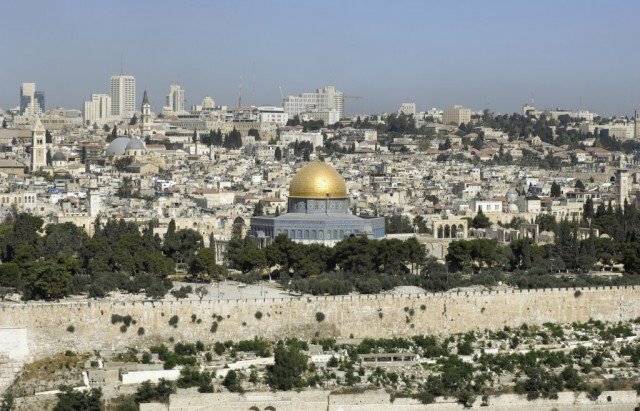 On October 30, a spokesman for Palestinian leader Mahmoud Abbas described Israel’s temporary closure of the holy site as a “declaration of war”. The compound – known to Jews as the Temple Mount and to Muslims as al-Haram al-Sharif – is the holiest site in Judaism, and contains the al-Aqsa Mosque – the third holiest site in Islam. On Thursday night hundreds of people gathered for the funeral of Moataz Hejazi amid a heavy police presence. The burial passed off without incident, police said. Moataz Hejazi, 32, was shot after opening fire when police surrounded his home, officials said. He was suspected of having attacked Rabbi Glick as he left a conference on Jewish claims to the Jerusalem holy site. Rabbi Yehuda Glick is a well-known campaigner for the right of Jews to pray at the site, which is currently prohibited. He was seriously wounded and is on a life-support machine in a Jerusalem hospital. On Wednesday night there were clashes in the neighborhood of Abu Tor between police and Palestinians protesting against the killing of Moataz Hejazi. Police used tear gas and rubber bullets against stone-throwing youths. Moataz Hejazi’s cousin alleges that he was shot by police after being detained within his house. Israeli police say Moataz Hejazi was killed after he began shooting at police who then opened fire in response. Secretary of State John Kerry said he was “extremely concerned” by the escalation in tensions and had urged Israel to reopen the holy site. “It is absolutely critical that all sides exercise restraint, refrain from provocative actions and rhetoric, and preserve the historic status quo on the Haram al-Sharif/Temple Mount in word and in practice,” he said. Some districts of East Jerusalem have seen nightly clashes between Palestinians and Israeli security forces since the Gaza conflict last summer. Ashton Kutcher cheated on Mila Kunis with Linn Massinger?